David Coleman of Blytheville was born March 1, 1947 in Edmondson to the late Arthur Coleman, Sr. and the late Tommie Lee Wells Coleman. He was a system analyst controller with over 15 years of education, a U.S. Army veteran and was the pastor of Gospel Tabernacle of Blytheville. 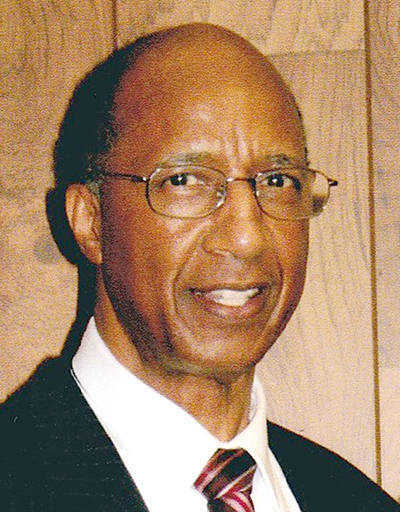 Mr. Coleman passed away on April 1, 2019, at his home in Blytheville at the age of 72. He was preceded in death by his parents; one daughter, Charissa Amour Coleman Reddick; seven brothers, Robert Garner, Donald Coleman, Maurice Coleman, Ronnie Coleman, Arthur Coleman, Jr., Joseph Coleman and Walter Richmond; and six sisters, Costella Coleman, Deloris Butler, Betsy Hatcher, Gladys Clark, Georgia Mae Booker and Ella Mae Rook. He is survived by his wife, Hattie Williams Coleman of Blytheville; one son, Merrill E. Coleman of Sikeston, Mo. ; two brothers, Moses Coleman of St. Louis, Mo., and Stanley Coleman of Chicago, Ill.; and five sisters, Christine Massey of Collinsville, Ill., Eva Jean Coleman of Anaheim, Calif., Carolyn Rogers of Monterey Park, Calif., Betty Webb of Blytheville and Darlene Coleman-Jones of Hawthorne, Calif. The visitation will be from 11 a.m. until noon Monday, April 8, at First Missionary Baptist Church in Blytheville. The funeral will follow at 12 p.m., Rev. Ivory Diamond will be officiating. The burial will be held at Memory Gardens Cemetery in Blytheville.